What’s the best way to hurt a thief? Reduce the resale value of their merchandise. US’s major wireless providers, AT&T, T-Mobile, Sprint, and Verizon, have agreed to work with the US government to build a database that registers lost and stolen phones. 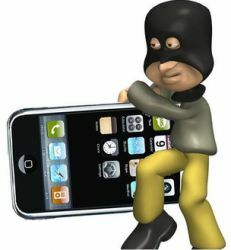 When trying to activate cellphones registered on that database of stolen phones, the carriers will deny any voice and data services for that particular device. Each carrier will have its own database of stolen/lost devices within six months and then integrate it into a central database over the 12 months thereafter. Eventually, smaller carriers will also join the database within two years. Currently, only Sprint and Verizon block stolen devices from their network while AT&T and T-Mobile aren’t able block any phones from their network. This is because AT&T and T-Mobile use GSM technology; all their phones just requires you to pop in a SIM card on any unlocked/compatible GSM phones, while you must contact Sprint and Verizon if you want to activate another phone to your account.